Dr. Jin is an Associated Professor at Shanghai Jiao Tong University. Before he was recruited to SJTU, he received his Ph.D. and M.D. degree at the Fourth Military Medical University followed by famous neurobiologist Prof. Gong Ju, a CAS member. At 2006, he joined the Institute of Neurosciences at Shanghai Jiao Tong University as an Associated Professor. His lab is focused on molecular mechanism of axon regeneration and tumor epigenetics. 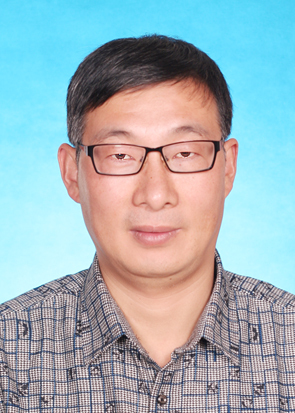 As PI, Dr. Jin was rewarded four grants from National Natural Science Foundation of China in the last five years. He has published more than 60 peer-reviewed publications and their findings have been published in some important professional journals. Lian H, Li WB*, Jin WL*. The emerging insights into catalytic or non-catalytic roles of TET proteins in tumors and neural development. Oncotarget. 2016 Aug 19. doi: 10.18632/oncotarget.11412. [Epub ahead of print] Review. Mao XY*, Li QQ, Gao YF, Zhou HH, Liu ZQ*, Jin WL*. Gap junction as an intercellular glue: Emerging roles in cancer EMT and metastasis. Cancer Lett. 2016 Oct 10; 381 (1): 133-137. Fu H*, Ma Y, Yang M, Zhang C, Huang H, Xia Y, Lu L, Jin W*, Cui D*. Persisting and Increasing Neutrophil Infiltration Associates with Gastric Carcinogenesis and E-cadherin Downregulation. Sci Rep. 2016 Jul 14;6:29762. doi: 10.1038/srep29762. Yang Y, Zhang J, Xia F, Zhang C, Qian Q, Zhi X, Yue C, Sun R, Cheng S, Fang S, Jin W, Yang Y, Cui D*. Human CIK Cells Loaded with Au Nanorods as a Theranostic Platform for Targeted Photoacoustic Imaging and Enhanced Immunotherapy and Photothermal Therapy. Nanoscale Res Lett. 2016 Dec;11 (1):285. Yanyang Tu#, Zhen Wang#, Xin Wang, Hongwei Yang, Pengxing Zhang, Mark Johnson, Nan Liu, Hui Liu, Weilin Jin*, Yongsheng Zhang*, Daxiang Cui*.Birth of MTH1 as a therapeutic target for glioblastoma: MTH1 is indispensable for gliomatumorigenesis. Am J Transl Res 2016 Jun; 8(6):2803-2811. Xu CJ*.#, Wang JL#, Jin WL*. The Emerging Therapeutic Role of NGF in Alzheimer's Disease. Neurochem Res. 2016 Jun;41(6):1211-8. Gao J, Ma Y, Fu HL, Luo Q, Wang Z, Xiao YH, Yang H, Cui DX and Jin WL*. Non-catalytic roles for TET1 protein negatively regulating neuronal differentiation through srGAP3 in neuroblastoma cells. Protein Cell. 2016 May;7(5):351-61. Mao XY*, Dai JX, Zhou HH, Liu ZQ*, Jin WL*.Brain tumor modeling using the CRISPR/Cas9 system: state of the art and view to the future. Oncotarget. 2016 Mar 14; 7(22):33461-33471. doi: 10.18632/oncotarget.8075. Review. Mao XY*, Tokay T, Zhou HH, Jin WL*. Long-range and short-range tumor-stroma networks synergistically contribute to tumor-associated epilepsy. Oncotarget. 2016 Mar 7; 7(22):33451-33460.doi: 10.18632/oncotarget.7962. Review. Lin XB#, Jiang L#, Ding MH, Chen ZH, Bao Y, Chen Y, Sun W, Zhang CR, Hu HK, Cai Z, Lu CY, Zhou JY, Qian J, Wu XJ, Jin WL*, Hu GH*. Anti-tumor activity of phenoxybenzamine hydrochloride on malignant glioma cells. Tumour Biol. 2016 Mar;37(3):2901-8. Li L, Deng B, Wang S, Zhong H, Liu Z, Jin W, Jiang T, Xiao Z, Wang Q. synchronous therapy targeting Nogo-A enhances neurobehavioral recovery by reducing neuronal loss and promoting neurite outgrowth after cerebral ischemia in mice. J Drug Target. 2016;24(1):13-23. Dai Jinxiang, Bercury Kathryn, Jin Weilin and Macklin Wendy*. Olig1 acetylation and nuclear export mediate oligodendrocyte development. The Journal of Neuroscience, December 2, 2015, 35(48):15875–15893. Wang B, Ma A, Zhang L, Jin WL, Qian Y, Xu G, Qiu B, Yang Z, Liu Y, Xia Q, Liu Y. POH1 deubiquitylates and stabilizes E2F1 to promote tumour formation.Nat Commun. 2015 Oct 29;6:8704. doi: 10.1038/ncomms9704. Li C, Ruan J, Yang M, Pan F, Gao G, Qu S, Shen YL, Dang YJ, Wang K, Jin WL, Cui DX*. Human induced pluripotent stem cells labeled with fluorescent magnetic nanoparticles for targeted imaging and hyperthermia therapy for gastric cancer. Cancer Biol Med. 2015 Sep;12(3):163-74. doi: 10.7497/j.issn.2095-3941.2015.0040. Mi, Y#. ; Gao, X#. ; Dai, J.; Ma, Y.; Xu, L*. ; Jin, W*. A Novel Function of TET2 in CNS: Sustaining Neuronal Survival. Int. J. Mol. Sci. 2015, 16, 21846-21857. Zhang J, Song Y, Zhang C, Zhi X, Fu H, Ma Y, Chen Y, Pan F, Wang K, Ni J, Jin W, He X*, Su H*, Cui D*. Circulating MiR-16-5p and MiR-19b-3p as Two Novel Potential Biomarkers to Indicate Progression of Gastric Cancer. Theranostics 2015; 5(7):733-745. doi:10.7150/thno.10305. Xu CJ*, Wang JL, Jin WL*. The Neural Stem Cell Microenvironment: Focusing on Axon Guidance Molecules and Myelin-Associated Factors. J Mol Neurosci. 2015 Aug;56(4):887-97. doi: 10.1007/s12031-015-0538-1. Epub 2015 Mar 11. Zhang C, Zhou Z, Zhi X, Ma Y, Wang K, Wang Y, Zhang Y, Fu H, Jin W, Pan F, Cui D. Insights into the Distinguishing Stress-induced Cytotoxicity of Chiral Gold Nanoclusters and the Relationship with GSTP1. Theranostics 2015; 5(2):134-149. doi:10.7150/thno.10363. Gao Xingchun#*, Mi Yajing#, Ma Yue, Jin Weilin*. LEF1 regulates glioblastoma cell proliferation, migration, invasion, and cancer stem-like cell self-renewal. Tumour Biol. 2014 Nov. 35:11505–11511. Gao Xingchun, Jin Weilin*. The Emerging Role of Tumor-Suppressive MicroRNA-218 in Targeting Glioblastoma Stemness. Cancer Lett. 2014 Oct 10, 353 (1): 25-31. Hua-Lin Fu,Yue Ma, Lun-Gen Lu, Peng Hou, Bao-Jie Li, Wei-Lin Jin*, and Da-Xiang Cui*. TET1 Exerts Its Tumor Suppressor Function by Interacting with p53-EZH2 Pathway in Gastric Cancer. J. Biomed. Nanotechnol. 2014. 10, 1217-1230. Xian-Bin Lin, Guo-Han Hu*, Hua-Lin Fu and Wei-Lin Jin*. Emerging role of tumor-associated macrophages as therapeutic targets in Glioblastoma Multiforme. Nano Biomed. Eng. 2014, 6(1), 7-18. Zhao XH#,*, Dai JX#, Ma Y, Mi YJ, Cui DX, Ju G, Macklin WB, Jin WL*. Dynamics of Tet hydroxylase family proteins and 5-hydroxymethylcytosine in oligodendrocyte differentiation. Glia. 2014 Jun;62(6):914-26. doi: 10.1002/glia.22649. Epub 2014 Feb 25. Chu X, Zhao Y, Liu F, Mi Y, Shen J, Wang X, Liu J, Jin W. Rapidly Raise Blood Sugar Will Aggravate Brain Damage After Severe Hypoglycemia in Rats. Cell Biochem Biophys. 2014 May;69(1):131-9. doi: 10.1007/s12013-013-9779-1. Yun-Kai Dai#, Yue Ma #, Keng Chen #, Ya-Jing Mi, Hua-Lin Fu, Da-Xiang Cui and Wei-Lin Jin*. A link between the nuclear-localized srGAP3 and the SWI/SNF chromatin remodeler Brg1. Mol Cell Neurosci. 2014 May, 60: 10-25. Wang H, Zhang Y, Zhang Z, Jin WL*, Wu G*. Purification, crystallization and preliminary X-ray analysis of the inverse F-BAR domain of the human srGAP2 protein. Acta Crystallogr Sect F Struct Biol Commun. 2014 Jan;70 (Pt 1):123-6. doi: 10.1107/S2053230X13033712. Epub 2013 Dec 24. Can Wang, Zhiming Li, Bing Liu, Quande Liao, Chenchen Bao, Hualin Fu, Bifeng Pan, Weilin Jin, Daxiang Cui. Dendrimer Modified SWCNTs for High Efficient Delivery and Intracellular Imaging of Survivin siRNA. Nano Biomed. Eng. 2013, 5(3), 125-130. He N, Jin W-L, Lok K-H, Wang Y, M Yin* and Wang Z-J *. Amyloid-β1-42 oligomer accelerates senescence in adult hippocampal neural stem/progenitor cells via formylpeptide receptor 2. Cell Death & Disease. Cell Death Dis. 2013 Nov 21;4:e924. doi: 10.1038/cddis.2013.437.